The 72nd annual Tony Awards is almost here! We've pulled together some frequently asked questions about Broadway's starriest ceremony so you can find all of the answers in one place. Happy Tonys, everybody! When are the 2018 Tony Awards? Sunday, June 10, 2018 at 8PM EST. Radio City Music Hall in the heart of New York City. Who is hosting the 2018 Tony Awards? Sara Bareilles and Josh Groban! Bareilles recently served her second shift in Waitress, singing her own Tony-nominated score. Groban made his Broadway debut as Pierre in Natasha, Pierre & The Great Comet of 1812 in 2016, which earned him a Tony nomination for Best Lead Actor in a Musical. Both stars have remained active in the theater community since making their debuts. How can I see the red carpet arrivals? Tune into CBS' livestream beginning at 5:30PM EST. Be sure to follow Broadway.com on Facebook, Twitter and Instagram for live updates and photos from the red carpet! Tune into CBS or log in/start a trial (the first week is free) on CBS All Access for the livestream from 8-11PM ET/delayed PT to see the presentation of the major awards and performances. Be sure to follow Broadway.com on Facebook, Twitter and Instagram for live updates from the press room and more. The following international broadcasters will carry the show: BBC Radio 2 in the United Kingdom, Bell's CTV in Canada, Pramer's Film & Arts (AMC) in Latin, Central and South America, Sky Network Arts Channel in New Zealand, Foxtel Arena Channel in Australia, WOWOW in Japan, BesTV and Tencent Video in China. Check local listings for more info. Who are the 2018 Tony nominees? Click here for a complete list of the 2018 Tony Award nominees. 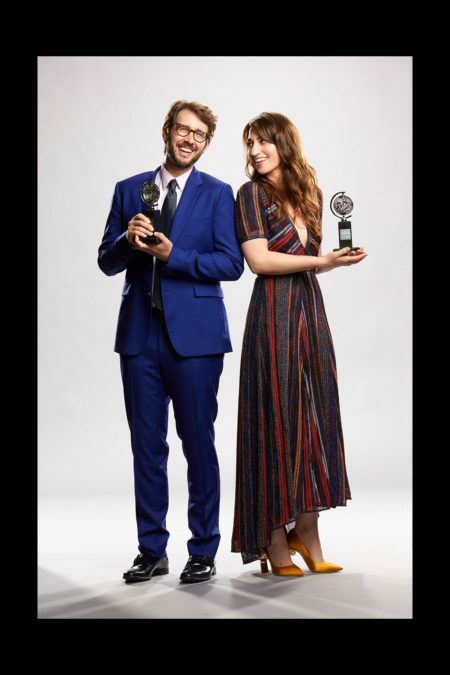 Who are the presenters at the 2018 Tony Awards? A starry roster of presenters and participants will include Zachary Quinto, Matt Bomer, Jim Parsons, Andrew Rannells, Leslie Odom Jr., Melissa Benoist, Katharine McPhee, Erich Bergen, Bernadette Peters, Uzo Aduba, Armie Hammer, Tatiana Maslany, Claire Danes, Tituss Burgess, Billy Joel, Patti LuPone, Christine Baranski, Mikhail Baryshnikov, Rachel Bloom, Rachel Brosnahan, Jeff Daniels, Robert De Niro, Brandon Victor Dixon, Christopher Jackson, Matthew Morrison, Kelli O'Hara, Kerry Washington, Ming-Na Wen and Marissa Jaret Winokur. Tony-nominated shows The Band's Visit, Carousel, Frozen, Mean Girls, My Fair Lady, Once On This Island, SpongeBob SquarePants and Summer; as well as a special performance from the 2017 Tony Award-winning musical Dear Evan Hansen. There will also be performances by Special Tony Award honoree Bruce Springsteen. You’re already here! Check in with Broadway.com during and after the ceremony for a complete list of winners, photos, video and other highlights of Broadway’s biggest night…and don’t forget about us on Facebook, Twitter and Instagram. If you’re already following us on social media, you know we’re going to have a good time together! Stay with us for polls, spirited discussions, pics of your faves and more.